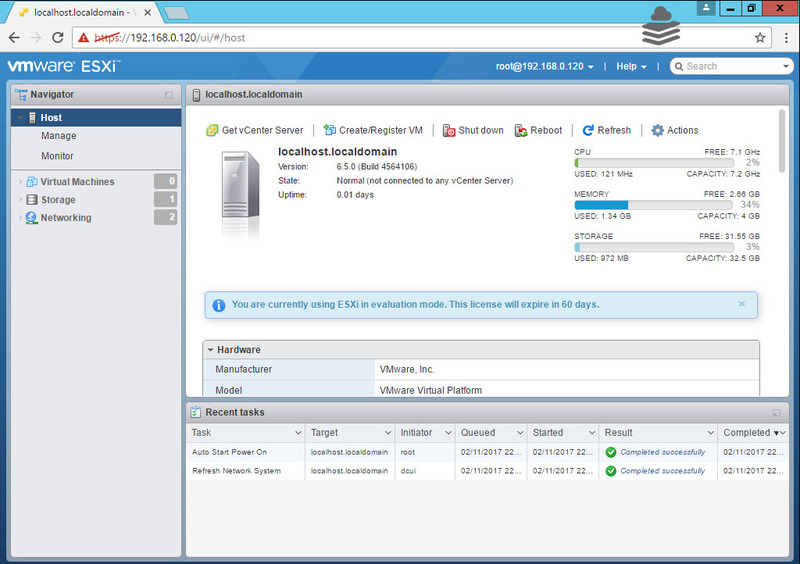 VMware vSphere 6.5 comes with the complete web client interface where ESXi also accessed using the web client. 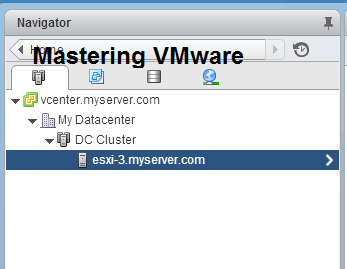 We can’t connect ESXi or vCenter Server using the Windows vSphere Client. 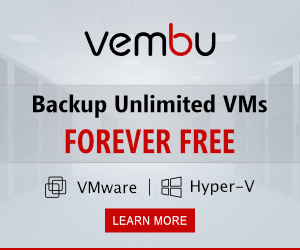 Web Client removes the dependency of operating system so you can access the web client from any operating system using just browser. 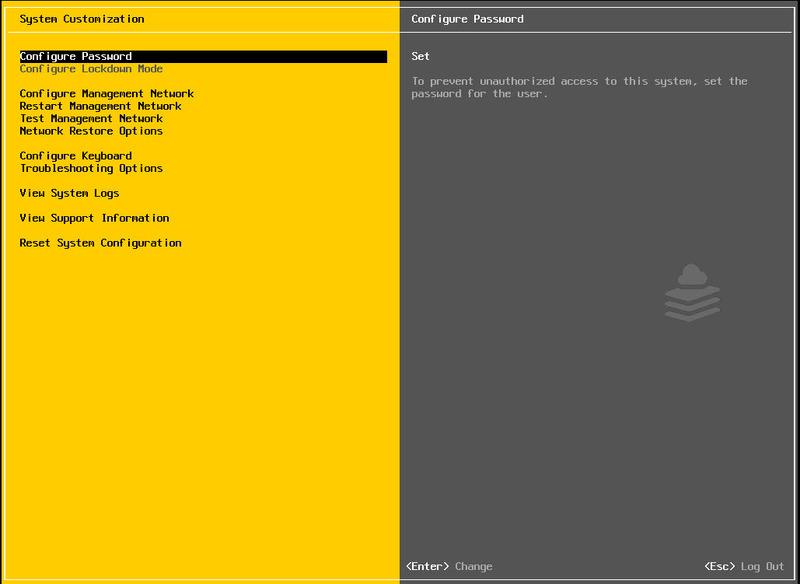 You can access the web client from any of the web browser. 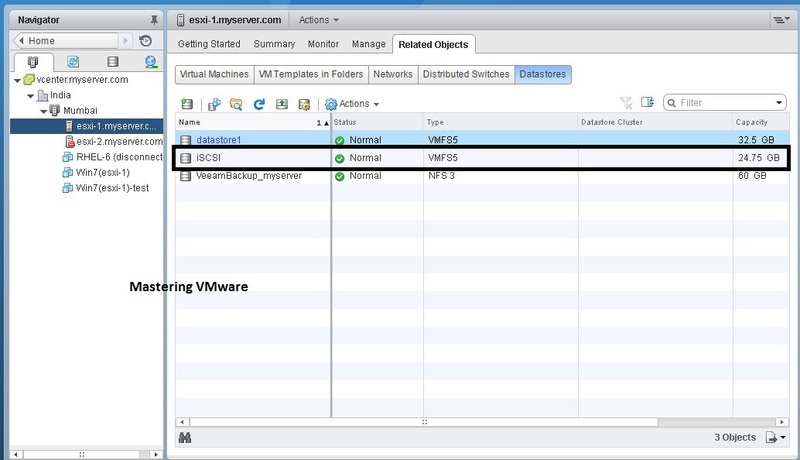 When we create a VM we have to upload an ISO image of the Guest Operating system into the datastore. 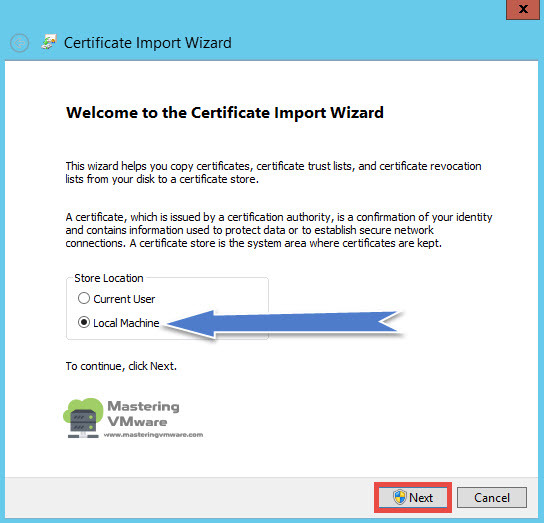 As per the above error you can easily identify that this is an error due to some certificate issues. 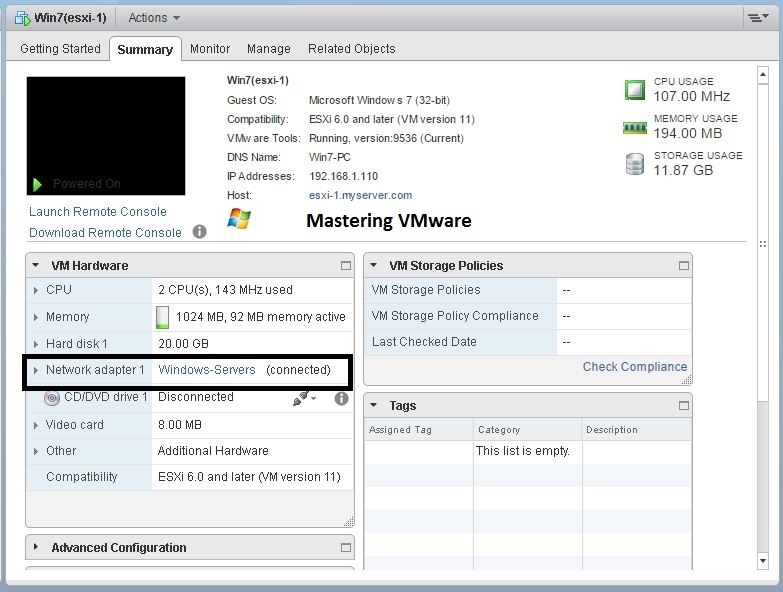 You can directly login to ESXi web client from there you can easily upload the ISO image without any error but this comes while uploading from vCenter Web Client. 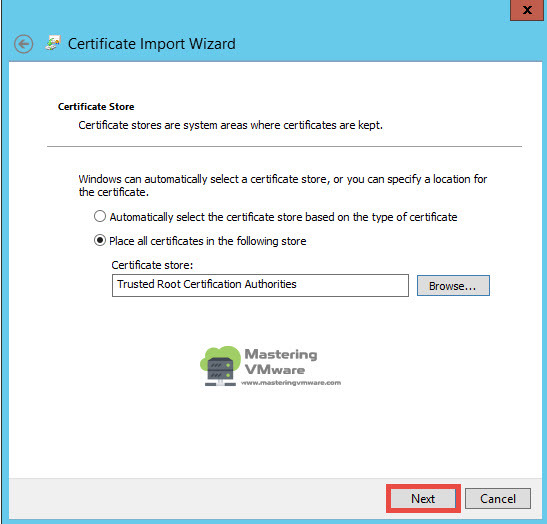 So for permanent solution to this is to Install the certificates in the system so you will not get error again. 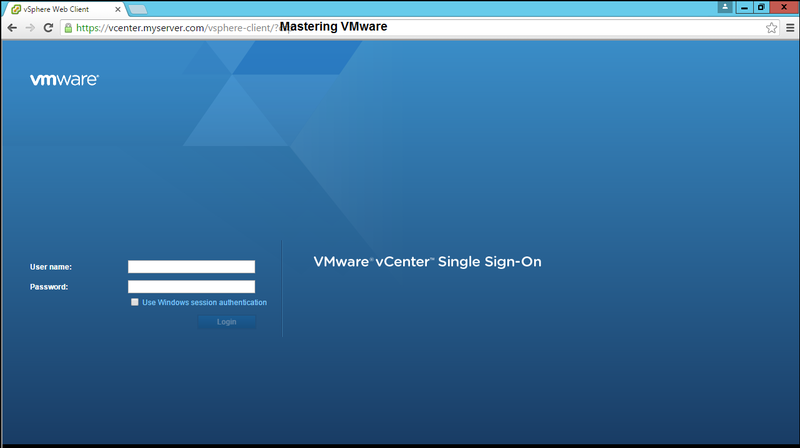 Access the vCenter Server Web client using IP or Hostname. 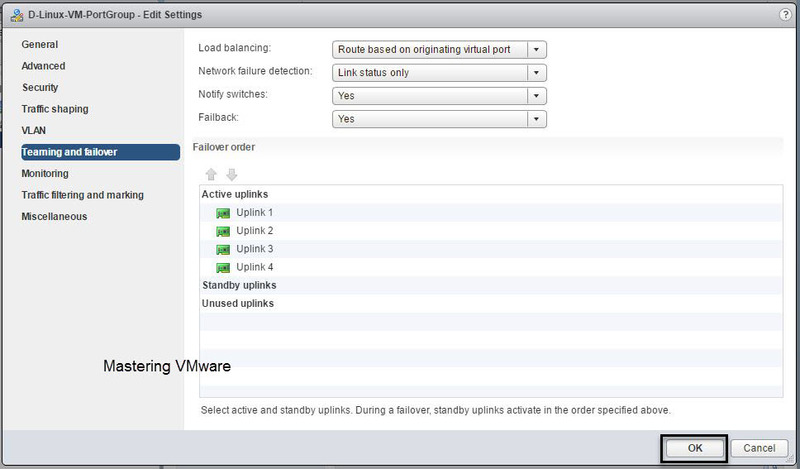 Once Certificates download completes. 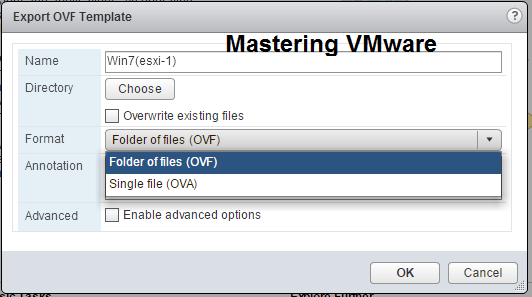 Extract the Zip file and go to win folder. 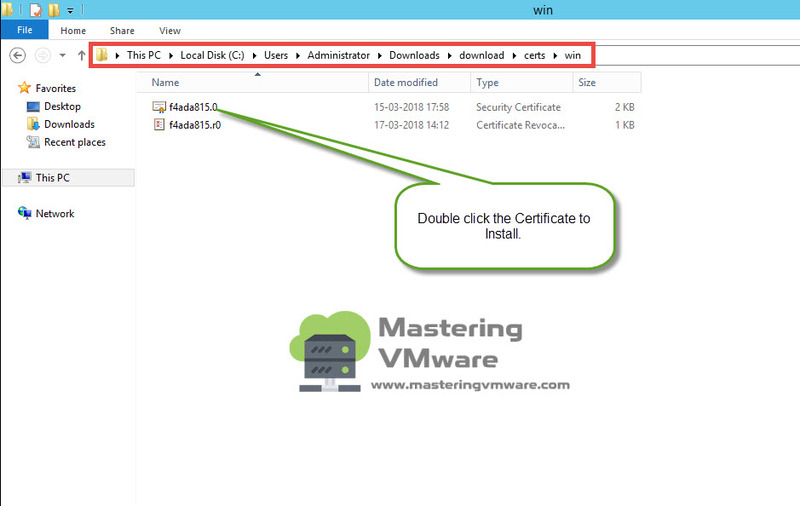 Double click on Certificate file to Install. 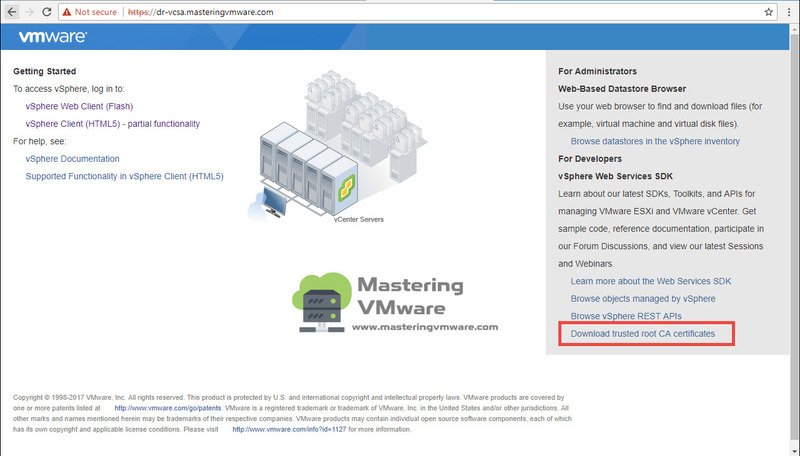 You will see the Certificate Information. Choose the Local Machine and click Next. 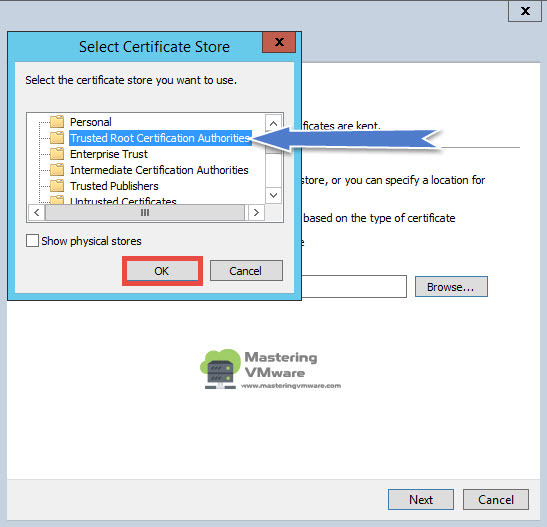 Click on Browse to browse the certificate stores. 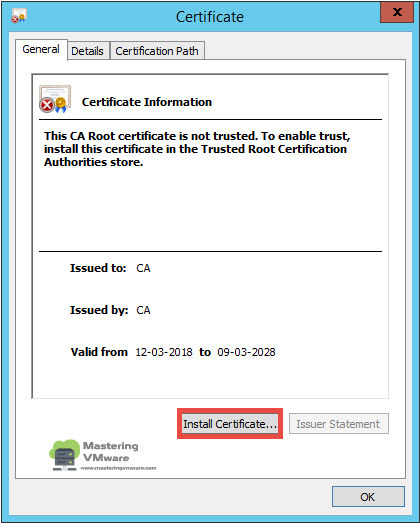 Select the “Trusted Root Certification Authorities” from the available stores. 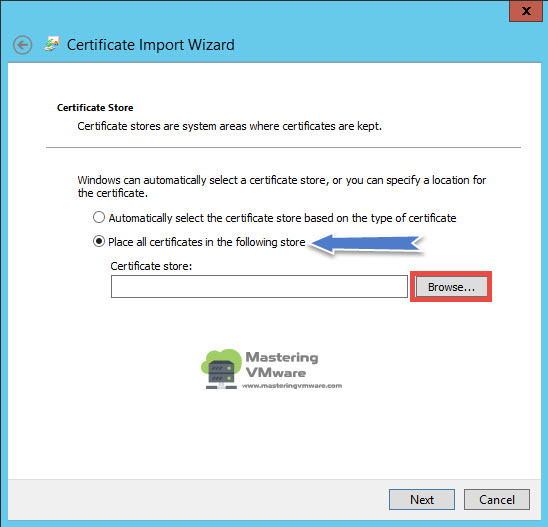 You will see the Certificate store is displayed. As you can see that Import is successful. 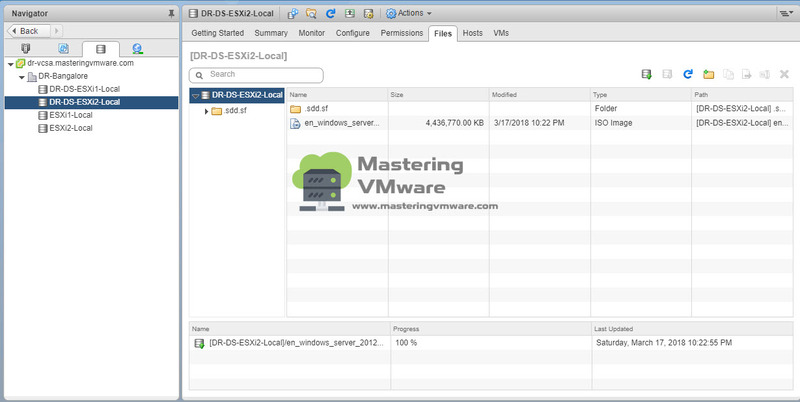 Now you can upload the ISO image using the vCenter Web Client easily. 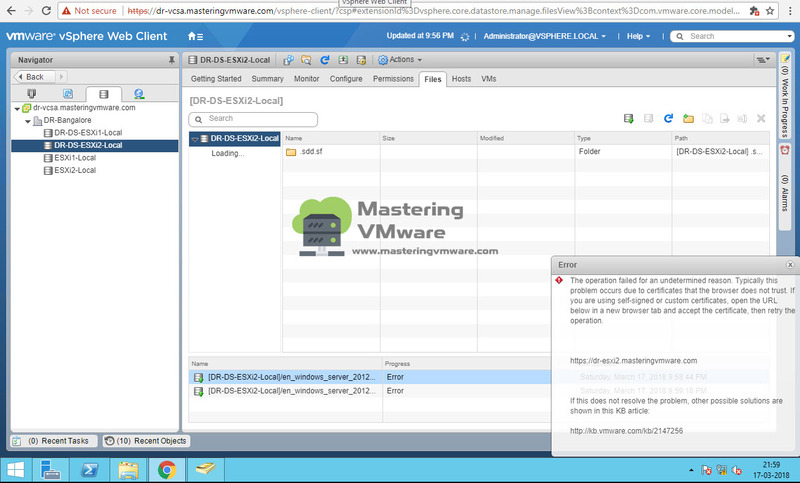 This error was found in ESXi 6.5. 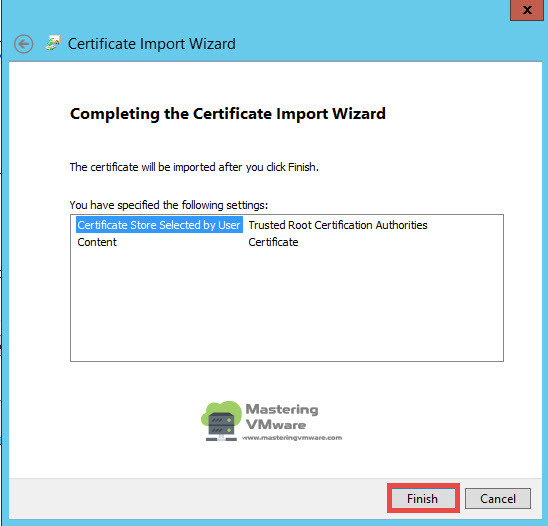 If you are using ESXi 6 you might not get this kind of error and if you are using the custom certificates instead self signed certificates which are installed in the system then you might not get error. 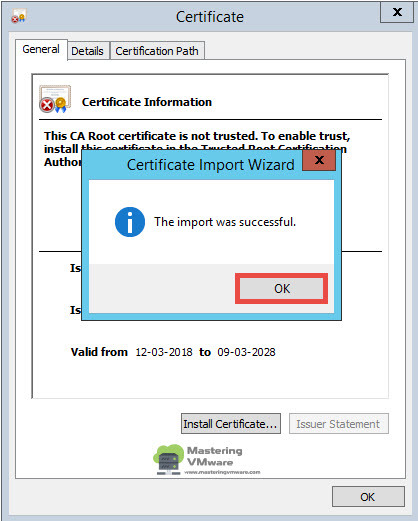 By Installing the Certificates you will not get this error again.